One of Aretha Franklin’s greatest hits and a theme that needs to be in constant rotation in 2018. We are lacking respect for each other in this fractured country. The Queen of Soul’s blistering remake of the Otis Redding’s original became her first Billboard number one, winning her the first of 18 Grammys. The instant classic became a huge feminist and civil rights anthem. Today, we can look back at Aretha’s greatest hit package and it really is a microcosm of what the tone is in the un-United States of America. 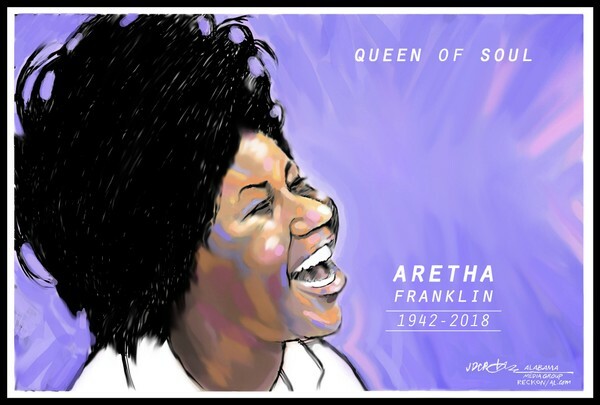 Long live Aretha Franklin’s music and her spirit. Over the years of my teaching have been inspired in my classes, choreography and performance by her music. She was one of a kind..sang from her soul and pulled that same emotion in dance. She has got to be up there singingtotheangels. My music partner and I brought in a Black bass player for our recording session, the first ever, with Vicki Sue Robinson, age 13, in 1967. Between takes he was telling me of a unique recording technique that Aretha Franklin used . I’ve never divulged it to anyone, but it was unique.